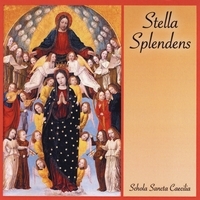 and tell you to do something, that would be to stop what you are doing and go to cdbaby.com and buy the Stella Splendens CD by the Schola Sancta Caecilia! It is absolutely beautiful, worth every penny you will spend (which really aren’t many), and will become the music you reach for at home, in the car, or on the bus. Â Click on the link for some samples. September 5, 1942, the day my mother’s parents were united in Holy Matrimony. They are no longer with us, my grandpa dying first in October of 1990 and my grandma passing away in January 1995, however they both impacted my life in ways that I didn’t fully know at the time and that in many ways I still don’t know. I am certain because of these two wonderful examples, I am Catholic today. They both were faithful Catholics until their dying day. I remember going to Mass with them and my grandpa using his thumb to help me follow along with the Creed. It is a very clear memory, one that I think of many times while praying the Creed at Mass. He took two school aged girls fishing with him many times and did not complain when their giggling or talking scared the fish away. He was a Fourth Degree Knight of Columbus and boy did he look handsome in his regalia. My grandmother was such a peaceful soul, confident in the Will of God. Oh, how she angered my teenage self when she would say, “There are no guarantees,” or something along those lines, that required me to accept there was someone else in control higher than myself. I remember one time she told me she drove from Detroit, Michigan to Rochester, New York and back without turning on the radio once. Again, my teenage self was horrified at all the silence, but now I smile when I am in the car and keep the radio off, now I understand the meaning of silence. Every Tuesday she would go to church in the morning for an hour. If I recall, it as 10 to 11 am. I now know she went to adoration, but back then, I thought she was just going to make sure no one broke into the church. Hardly a day goes by that I don’t think about them. In all honesty, I have tried to model my home and family following their example. Their quiet devotion and love of our faith helped me to stay connected to the Church even when I had strayed. I couldn’t think of them without thinking of God and heaven. Â I’m pretty sure that it was through their intercession that I found my way back. Last night, in honor of their 71st wedding anniversary, I posted a wedding picture of my grandparents on Facebook. The comments I received on it from a few cousins and my aunt, made me smile and made me realize what an impact they had on the lives of everyone they met. One cousin said that a day doesn’t go by that he doesn’t think of them, and that made me smile. 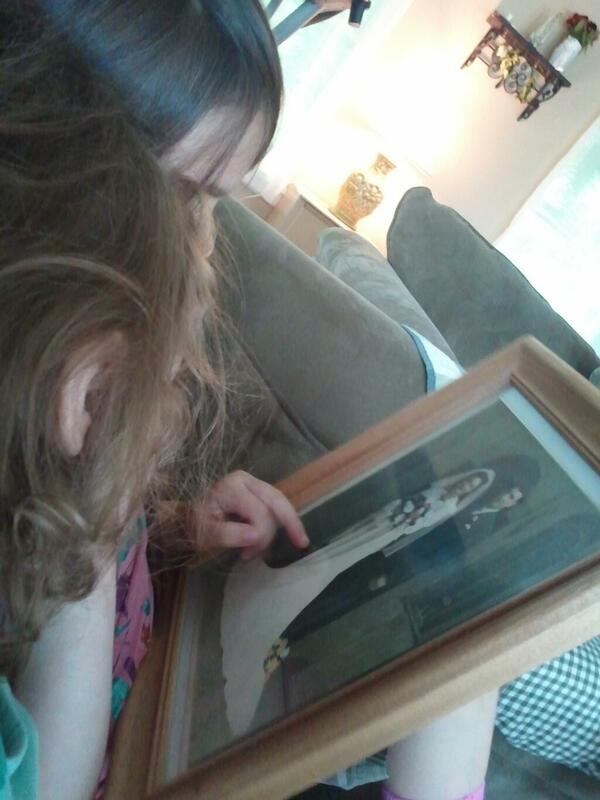 My aunt who married my youngest uncle never had the chance to meet my grandfather, but was blessed to know my grandmother shared some memories of her. Another cousin commented that they’d make the greatest great-grand parents…and that is true. I’m sure at 92, Grandma would be in the kitchen mixing up chocolate chip cookies with the help of her great grand children. If Grandpa were still here, he’d be sitting in the garage, listening to the Tigers or Lions game on the old radio, sitting on a lawn chair, drinking a beer. Â And they’d both be walking to Mass every Sunday like that had for many years. 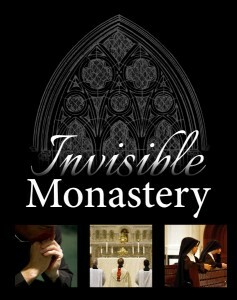 There is a neat new website where you can sign up to pledge for vocations!Â The goal of Invisible Monastery is to organize continuous prayer for vocations, as suggested by the Vatican. If you feel called, you can sign up via the link above. You will be asked to enter your diocese, how you will pray for vocations, and your name. You can also see how many other people are praying for your diocese when you select it. Wow, wow, wow. When our Holy Father was announced yesterday, I had one thought: WHO?? Then we needed to leave to make it to Margaret’s Little Flower Group, so I loaded the kids in the car, without seeing the first blessing. On the way to town, I remembered NPR would be carrying the news of our new Holy Father, so I turned on the radio in time to hear the beginning of the new Holy Father’s Urbi et Orbi message and blessing. At his request, I prayed along with him, for PopeÂ Emeritus, Benedict XVI. I think I made it part way through the Our Father before I started crying. Then he asked for our prayers for him and silence fell over St. Peter Square (and the NPR commentator and the minivan) as everyone prayed for our new Papa. I wept as I prayed for him, the Vicar of Christ. As he gave us his blessing, my tears continued, as I was moved by this humble man, blessing us all, and thanked God for his gift of Pope Francis to theÂ UniversalÂ Church. Brothers and sisters, I leave you now.Â Thank you for your welcome.Â Pray for me and until we meet again.Â We will see each other soon.Â Tomorrow I wish to go and pray to Our Lady, that she may watch over all of Rome.Â Good night and sleep well! Check back here for links and information about the Conclave! I have posted a different article with the time tables for checking for White Smoke! Yesterday Vatican spokesman Federico Lombardi, SJ released a schedule for the sessions of the conclave to elect a new pope,Â set to begin Tuesday, March 12, including a time-table for when the â€œfumataâ€ (the black or white smoke indicating whether or not a new pontiff has been elected) can be expected from the Sistine Chapel chimney. On Tuesday at 3:45pm, the cardinals will move from the Domus Sanctae Marthae to the Pauline Chapel in the Apostolic Palace. At 4:30pm, the cardinals will process from the Pauline Chapel to the Sistine Chapel and, after they have all taken the oath, the Master of Papal Liturgical Celebrations will give the order â€œExtra omnesâ€ for all those not taking part in the Conclave to leave the Sistine Chapel. The cardinals will listen to a meditation given by Cardinal Grech, concerning the grave duty incumbent on them and thus on the need to act with right intention for the good of the Universal Church, after which they will proceed to the first vote. At 7:00pm they will pray Vespers and, at 7:30pm, will return to the Domus Sanctae Marthae. Beginning on Wednesday, 13 March, the cardinals will move from the Domus Sanctae Marthae to the Pauline Chapel at 7:45am where, at 8:15am, they will celebrate Mass. At 9:30am they will enter the Sistine Chapel, pray the Liturgy of the Hours, and proceed to the voting process. Around 12:00pm they will return to the Domus Sanctae Marthae and, after lunch there, will go back to the Sistine Chapel at 4:00pm where they will pray briefly and resume the voting procedure until 7:00pm. The first smoke signal can be expected about 7 p.m.Â [2 pm ET]Â Tuesday, after the first vote. Beginning Wednesday, smoke would be expected at about noonÂ [7 am ET]Â and again about 7 p.mÂ [2 pm ET]. However, if a pope is elected on the first ballot of the morning, the white smoke would billow forth between 10:30 a.m. and 11 a.m.Â [5:30 am and 6 am ET]. If he is elected on the first ballot of the afternoon, the white smoke would be seen between 5:30 p.m. and 6 p.m.Â [12:30 pm and 1 pm ET]. After a white smoke signal, it takes about 40-45 minutes before the announcement of the name of the candidate who won. He must accept the office, change to white vestments and the cardinals pledge their obedience and pray again. Dominum [forename],Â Sanctae Romanae Ecclesiae Cardinalem [surname],Â qui sibi nomen imposuit [papal name]. I don’t seem to recall knowing this information in 2005, so I thought I’d share it with you all as well. This helpsÂ tremendously, as does the Pope AlarmÂ website in knowing when to check the news! A pretty cool graphic from Focus Ministries. Those wonderful people over at Focus Ministries have set up the Pope Alarm. This is your answer to “what happens if the pope is elected in the morning??!! !” Â All you do is sign up, give your phone number for a text message or your email address to have an email sent when the white smoke starts to appear. According to Fr. Lombardi, the official Vatican spokesman, the announcement of the new pope will be about 30-40 minutes after the smoke appears. Also, here a link to the Vatican News with the time table for Tuesday and Wednesday. 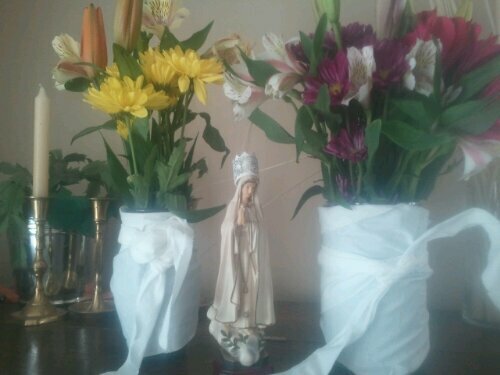 The Church, in her Wisdom has given us the Ordinary Form of the Mass. We, as a Church, are currently blessed with the option (in most places) to attend Mass using the Ordinary Form or the Extraordinary Form. Both are valid in the eyes of the Church and both have beauty and both can be done well or done horribly. I’ve been to both forms and to be honest, I prefer the Ordinary Form, when celebrated reverently. I have been blessed to see the Ordinary Form celebrated with great reverence and love. I’ve seen it celebrated ad orientem, with many of the parts in Latin, and all the focus on Love Himself. That is not to say that I do not love the Extraordinary Form, I also an very drawn to it as well. However, if I had the option here, where we are, I’d still pick a reverently done Ordinary Form Mass. Sometimes I feel as though a wedge is being driven between those of us who are faithful Catholics because of the Mass we attend. Many times I feel as though I am judged to be less faithful because I prefer the Ordinary Form. I’ve actually been pondering this for a few weeks now. Yes, both forms are valid, and yes, abuses can happen in both forms. However, both forms bring us the Source and Summit of our faith, Jesus in the Eucharist.Â Jesus, Love Himself. God made flesh, come to Earth to die on the Cross for our Salvation. He is present in both forms! He comes to us, Body, Blood, Soul, and Divinity at each and every Holy Sacrifice of the Mass. We, as Catholics, need to realize that even if the priest celebrating Mass seems to want to be anywhere but there, if the people in the pews around us seem more interested in chatting that praying, or (and this is one I struggle with) if the hymn choices are suspect at best, heretical at worst, the Mass is still the Mass and Jesus has come to us in the Blessed Sacrament. So please, let us put aside the judging over what form is attended and look to see the beauty that is present in both! Karol asked if we could go to Mass again today. I couldn’t come up with a good reason to tell him no and my heart was telling me to go as well, so we went to the 1210 Mass in Valdosta. Joshua met us there as well, which made it nice. On the way to town, Karol was upset about the retirement of our Holy Father and kept asking why. I reassured him that everything was going to be just fine and that God will not abandon us, Pope Benedict, nor the Church. That calmed him down a bit and seemed to accept my answers. After Mass, we headed home, had lunch, then sat down for some quiet time. At 2pm, I told the kids it was time to say a prayer for our former Holy Father and for our Church. Â I didn’t make it through the first Ave before I started bawling my eyes out. Saying goodbye is hard! Now we wait for the announcement of the Conclave and the election of our new Pope. I don’t know about you, but I’m super excited to see what the Holy Spirit has in store for the Church!